Far from achieving their objectives, the Battles of the Somme, continuing into August 1916, had accomplished little, at enormous expenditure of lives and resources. The Battle of Flers-Courcelette, which took place September 15 to 22, 1916, was another attempt to achieve a decisive result on the Somme Front. Fighting as part of the British Reserve Army, the Canadian Corps, commanded by Sir Julian Byng, would contribute two of its infantry divisions to the left wing of a wider attack. This was the first major offensive operation for the Canadians, and their first experience of the devastating human toll of combat in 1916. 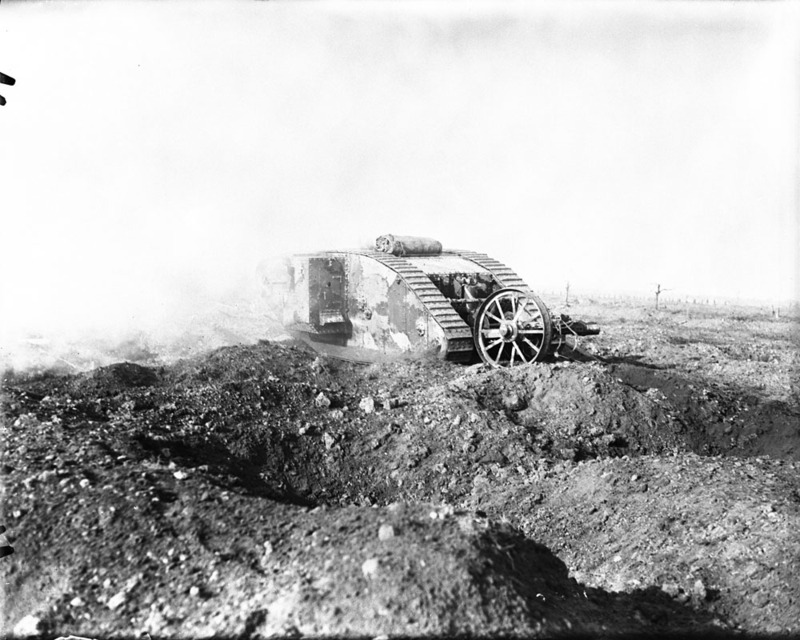 The battle began by a massive artillery bombardment of enemy positions, similar to the earlier Somme battles. This “creeping barrage” was better timed with the pace of advancing soldiers, and kept just ahead of them. Most enemy units did not have time to recover and prepare their defences before the Canadian infantry battalions were upon them. 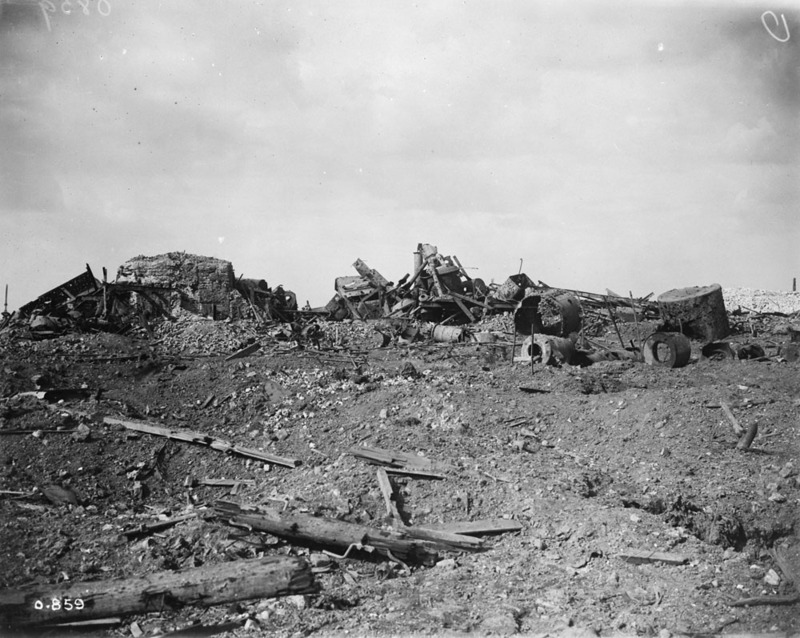 Highlights of the successful advance of Canadian units included the capture of the village of Courcelette by Lt. Col. T.L. Tremblay’s 22nd Battalion (French Canadians) and the 25th Battalion (Nova Scotia Rifles) as well as the capture of the heavily fortified sugar factory east of the village by the 21st Battalion (Eastern Ontario). Elsewhere, the attack stalled, and hopes for a decisive success faded, as the Germans launched strong counterattacks or withdrew to fortified positions. Canadian units suffered approximately 24,000 wounded and killed soldiers during the operation. Alex Comber is a Military Archivist in the Government Archives Division at Library and Archives Canada. 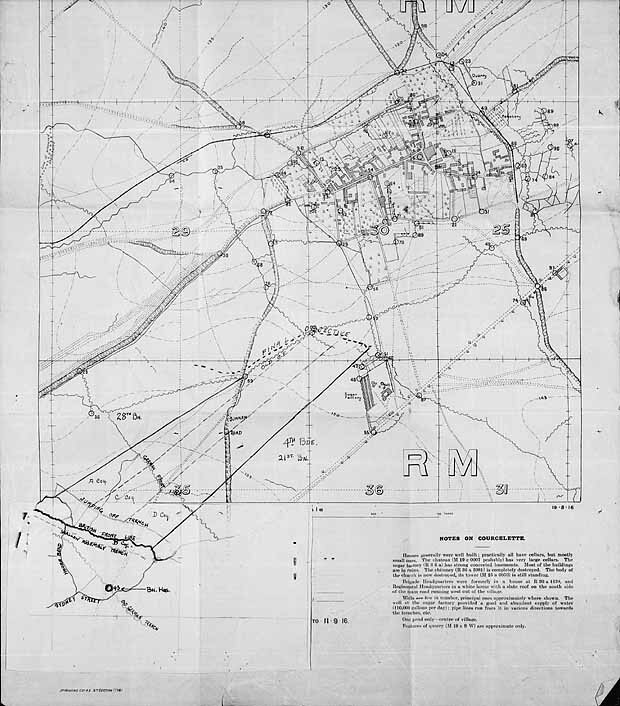 This entry was posted in Military Heritage and tagged Battle of Flers-Courcelette, Canadian Expeditionary Force, First World War, FWW battles, Military Service File, Tanks, The Somme, Trench Maps, War Diaries by Library and Archives Canada Blog. Bookmark the permalink. My grandfather Sgt. Albert Speechley 19th battalion died that night.